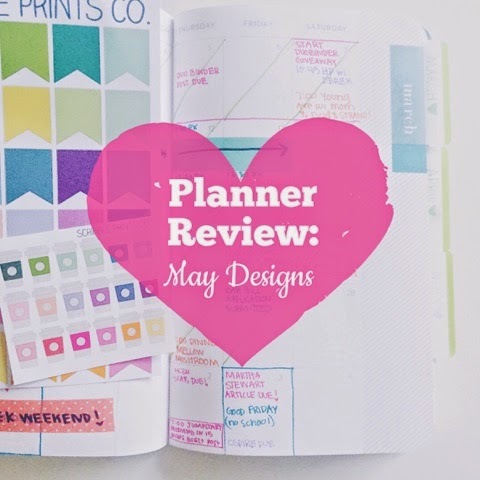 I was recently asked to review my May Designs planner. (um... that only sounds like the most fun ever). So here it is! 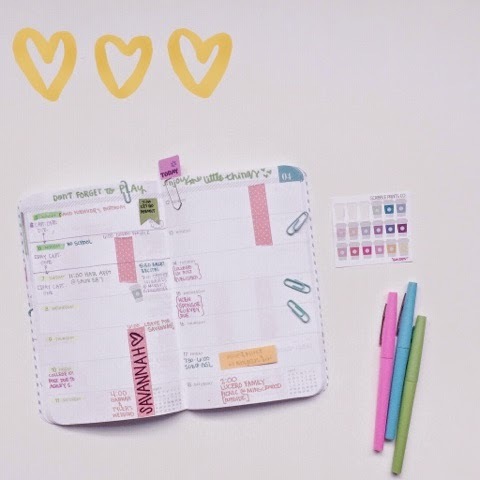 I've only been using the planner for a couple of months, but I have really gotten into the rhythm of using it daily, which is something I always worry about when switching planning systems. 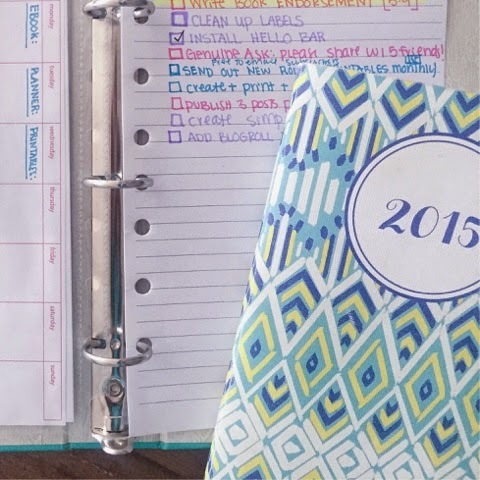 Create a Planner System That Works Best for YOU! First of all, the coolest thing about May Designs is that you design your own notebook. You choose the cover design, add a monogram or name (or year), and you choose which package of pages that you want. 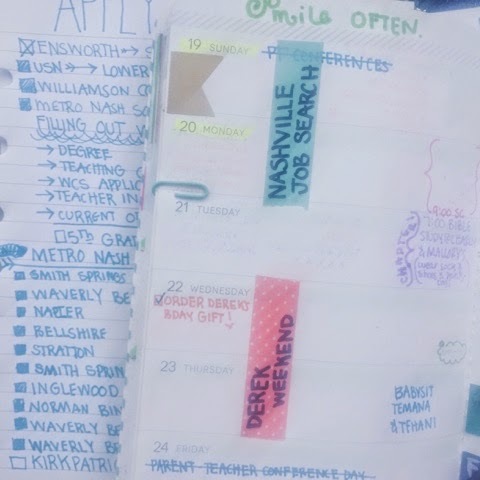 You can get plain old notebook pages, a monthly planner, a monthly and weekly planner, graph paper, etc. Another great thing about it is the size. Here, I have it in a little binder and it fits pretty perfectly. Admittedly, I miss my old planner and this one was a little too simple for me, so I did need to supplement it with a binder and notebook pages. This binder is from Office Depot/Max and the dividers and paper are from the office supply aisle at Target! The page package that I chose had both monthly + weekly views. The weekly views are all laid out vertically in a 2 week spread. So, if you are someone who tends to write to-do lists on your days (like me), you may need to supplement it with some notebook paper, too! The pages I chose are pre-dated, which I liked. I always tend to mess something up when I'm trying to fill in my own dates. I think it was a little extra for pre-dates, but worth it! I'm using my daily to-do lists instead of writing everything in the daily spaces. Overall, the bi-weekly spread is nice, although it can get a little cluttered-looking by that second week. The page quality is pretty good and my color-coded pens don't bleed through, which is fantastic! I'm not crazy about part of every Sunday being taken up by a calendar of the month, but it's certainly no deal breaker. The monthly view is just my favorite! I just love the simplicity of it and even the tininess of the boxes! Additionally, there are 6 pages in the back of the planner for notes (the only thing I have written back there so far is my morning routine). This post was written because it was a request. 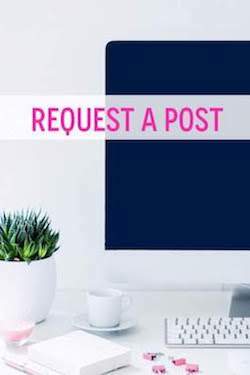 If you'd like to request your own post, do it here! 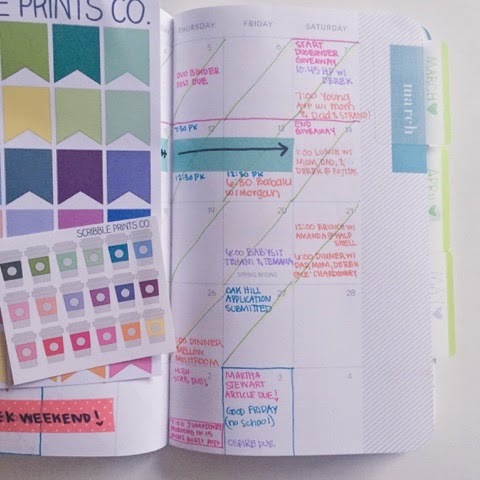 Do you love planners and planner-related things? 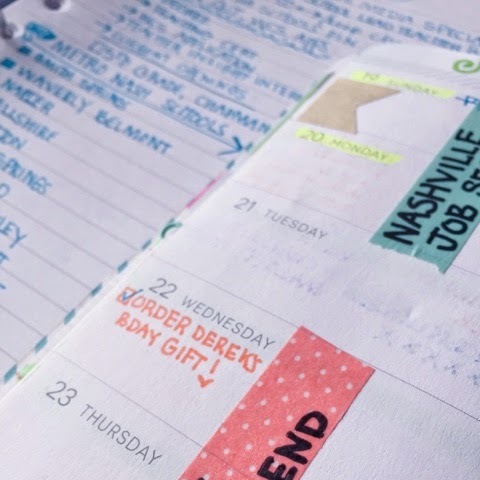 Have you ever used a May Designs planner? If so, how did you like it? If not, aren't they adorable?! 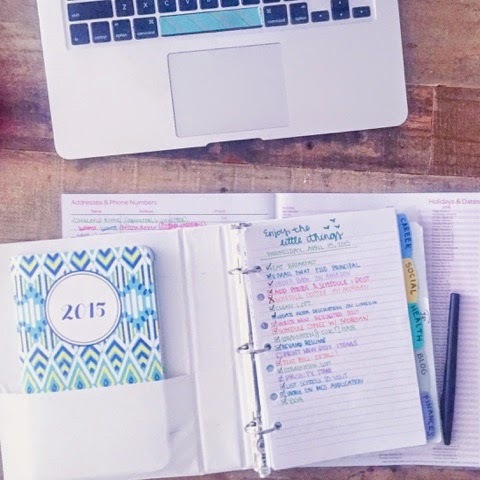 Join Organized Charm on Bloglovin'!